This bistro chair set will make a great addition to your outdoor living space. 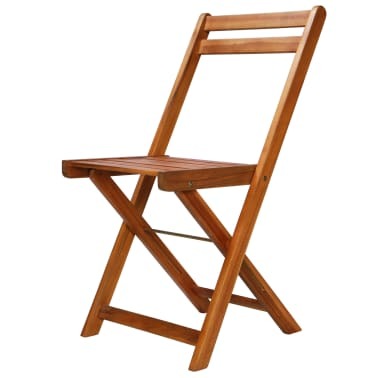 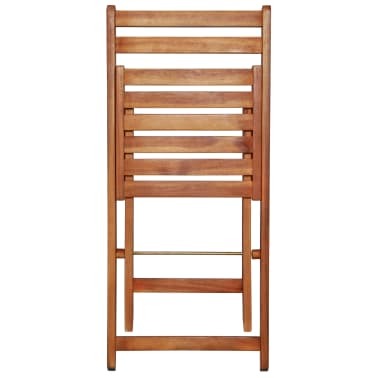 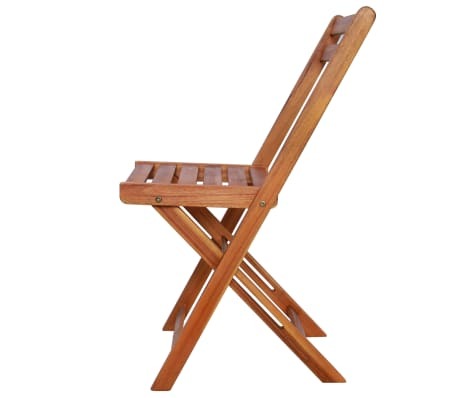 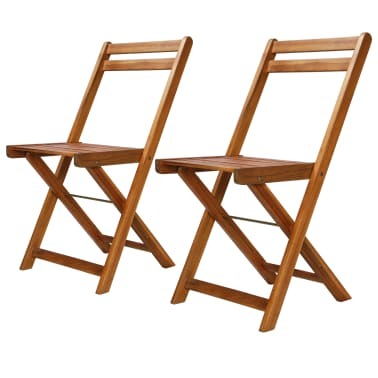 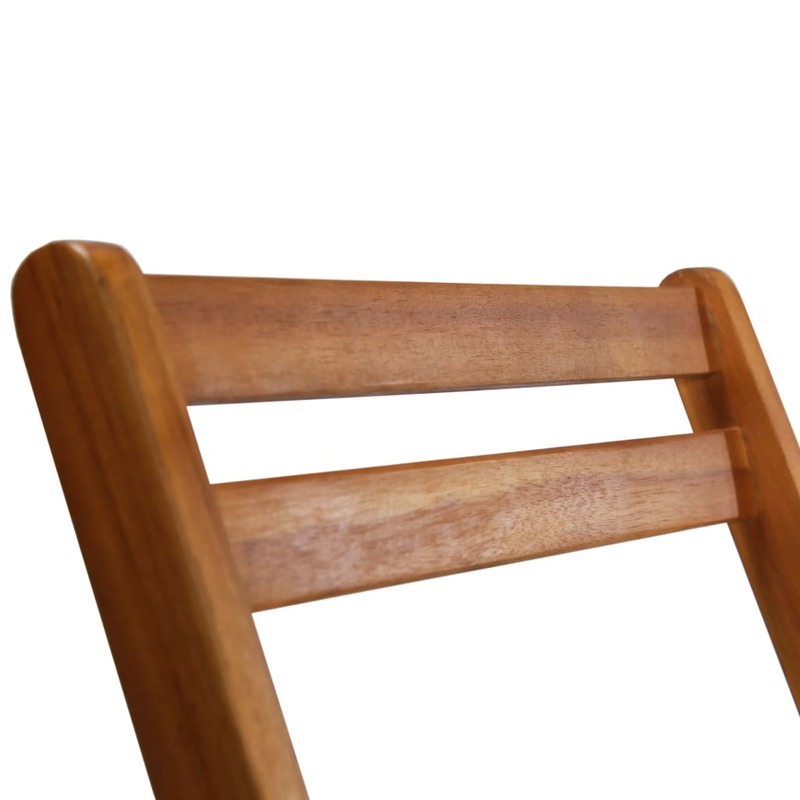 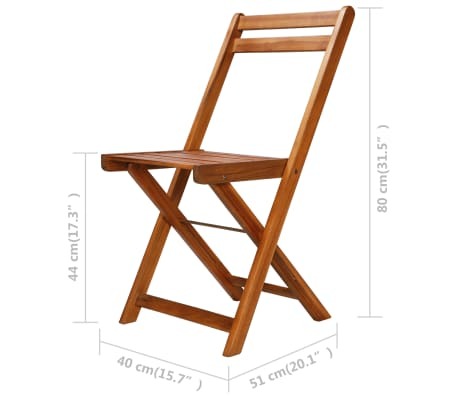 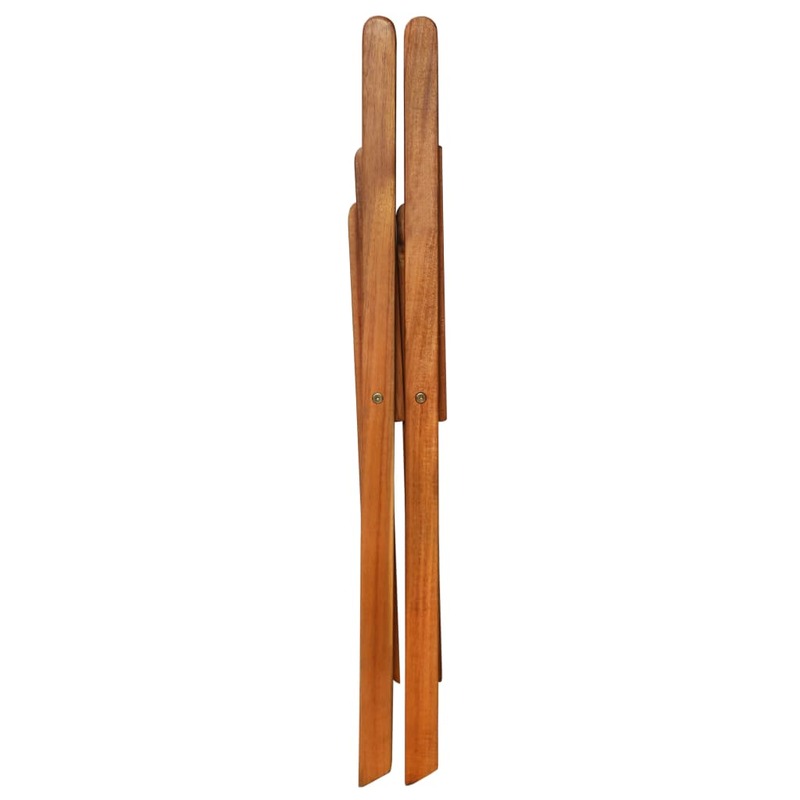 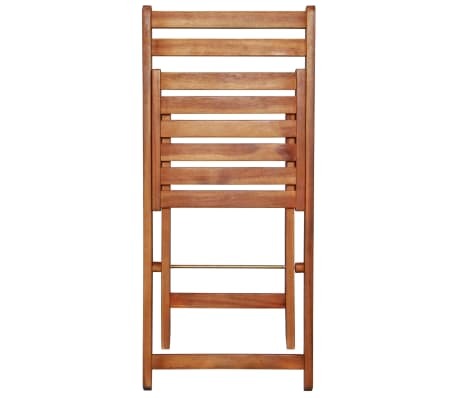 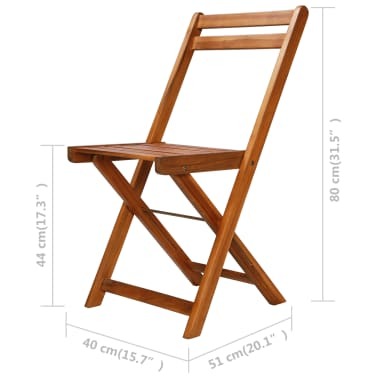 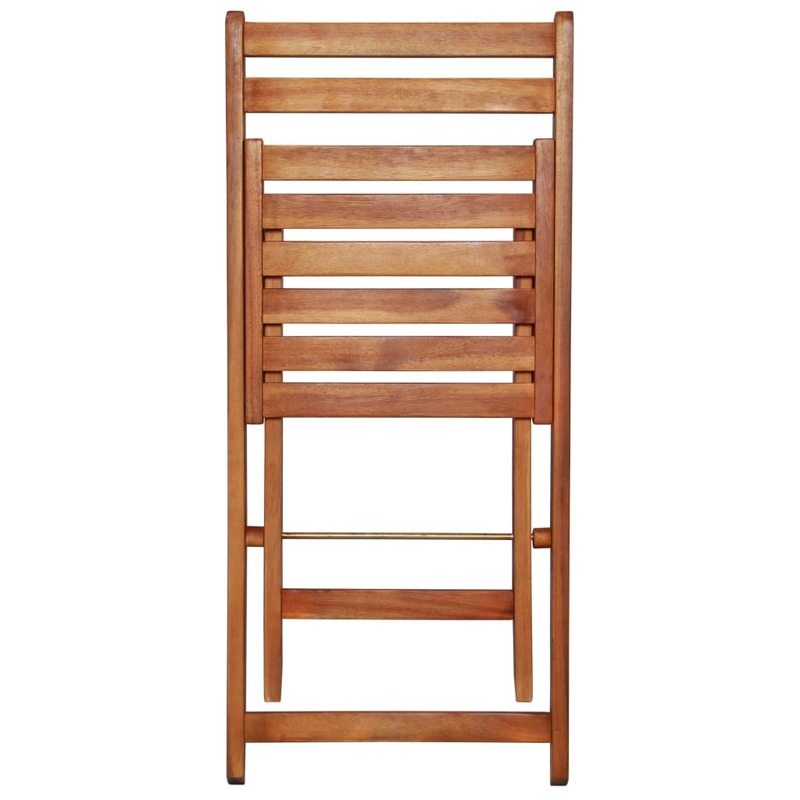 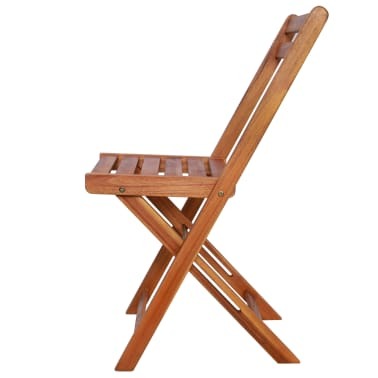 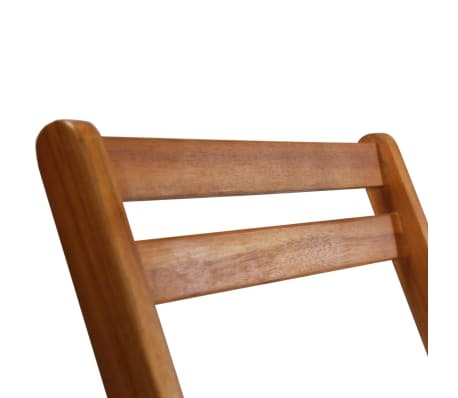 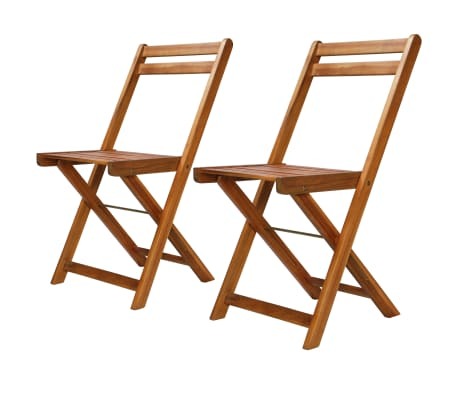 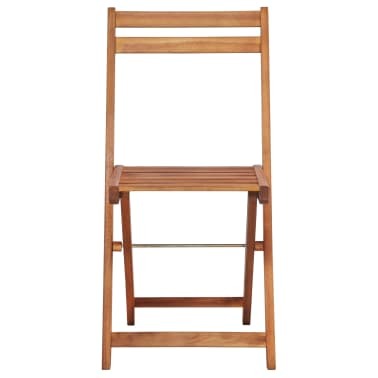 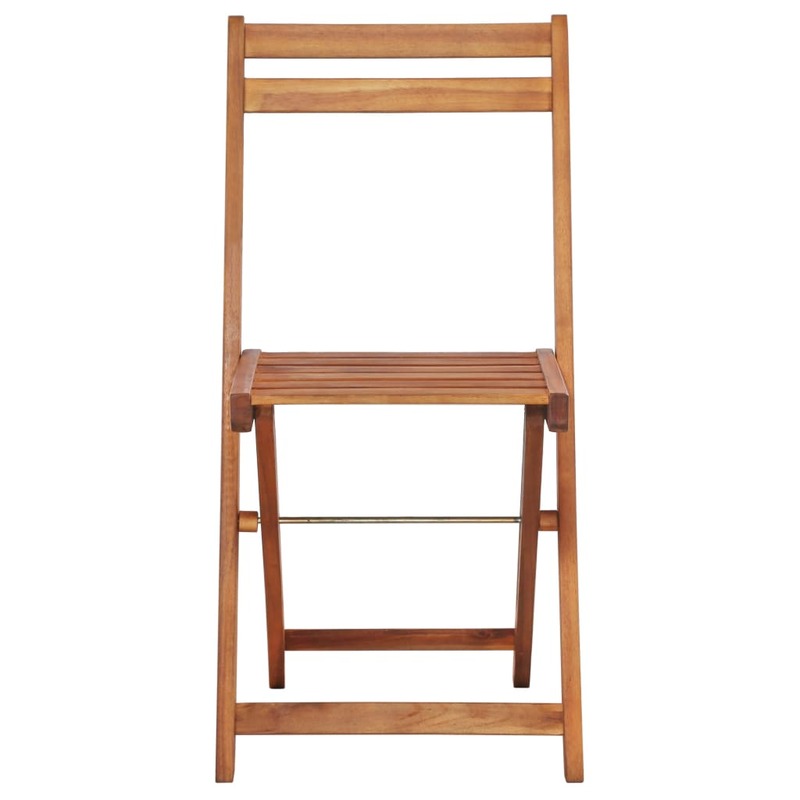 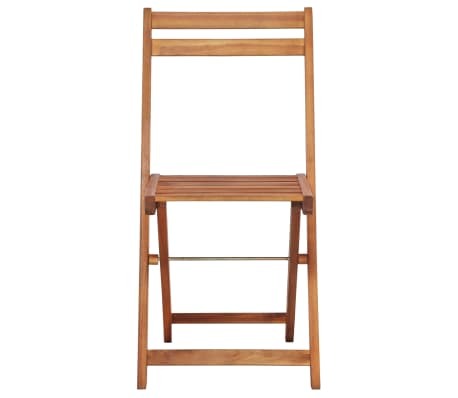 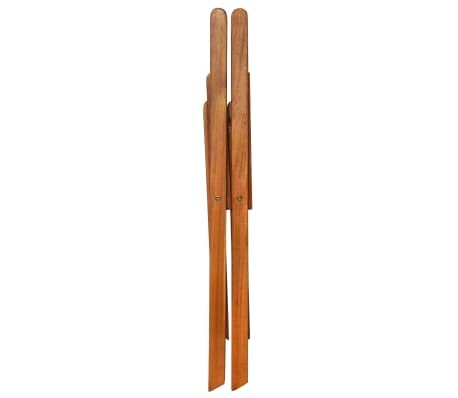 Made of solid acacia wood, the chair set is weather resistant and highly durable. 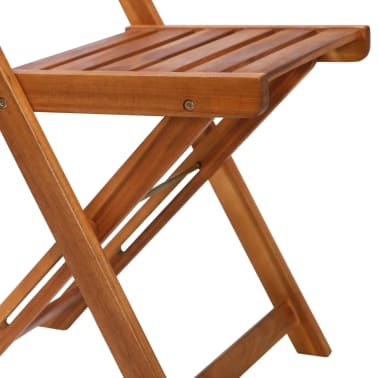 The footrests add to the set's seating comfort. 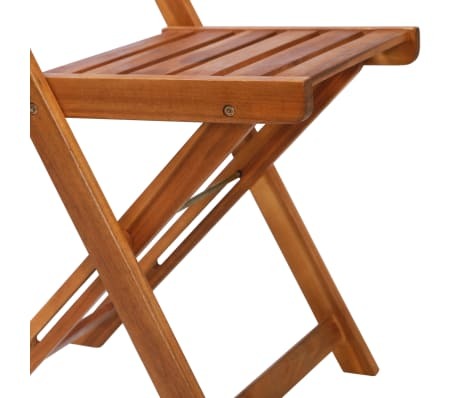 The chairs can be folded to save space when not in use. Assembly is easy.